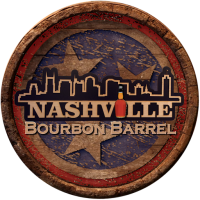 BARDSTOWN, Ky., April 2, 2019 /PRNewswire/ — Today, Kentucky Owl®, “The Wise Man’s Bourbon,” announces the release of Confiscated, the latest handcrafted batch of Kentucky straight bourbon whiskey from master blender Dixon Dedman. Confiscated pays tribute to the barrels the government seized from Dixon’s great-great grandfather, C.M. Dedman, just ahead of Prohibition. Those barrels were never seen or tasted again. More than a century later, Confiscated is the first offering from Kentucky Owl that will be available in all 50 U.S. states. Kentucky Owl Bourbon was founded in 1879 by C.M. Dedman and today is led by Master Blender, Dixon Dedman, who resurrected the brand and released his first batch in 2014, nearly 100 years after prohibition ended his great-great grandfather’s original endeavor. It is an artfully blended line of craft bourbons, each bottled at barrel proof for the truest expression of whiskey, and now, rye whiskies with the same craft approach in mind. Kentucky Owl is for those who appreciate high quality, attention to detail, craftsmanship, and authentic heritage.